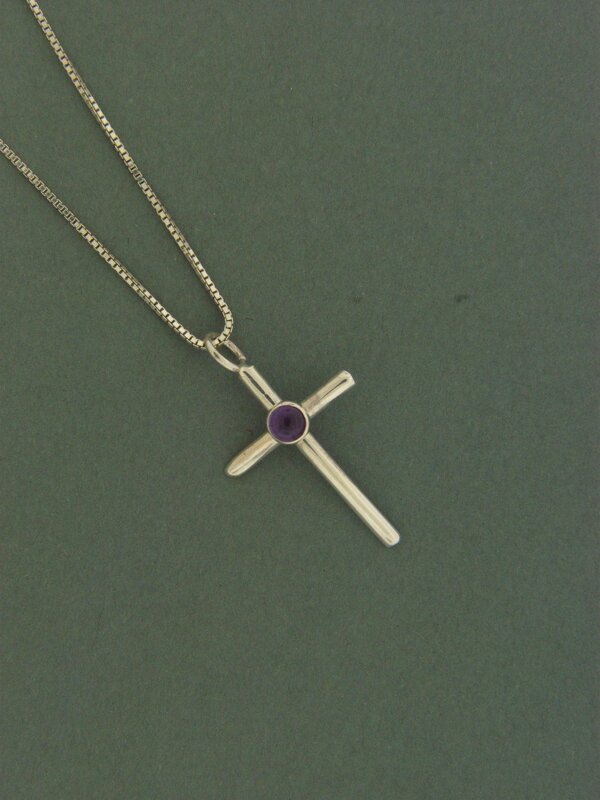 Handcrafted sterling silver .925 small cross 1/2 round wire with a 4mm round semi precious stone. Stone is in a bezel setting. Choose your chain length and stone. Shown with an amethyst stone.